(WXYZ) — Garrick Rochow, the senior vice president for operations at Consumers Energy, said they have seen some progress after asking customers to lower their heat to 65 degrees through Friday. According to Rochow, there have been no interruptions to natural gas service throughout the state, and there was progress made overnight based on the number of voluntary reductions that had been done. 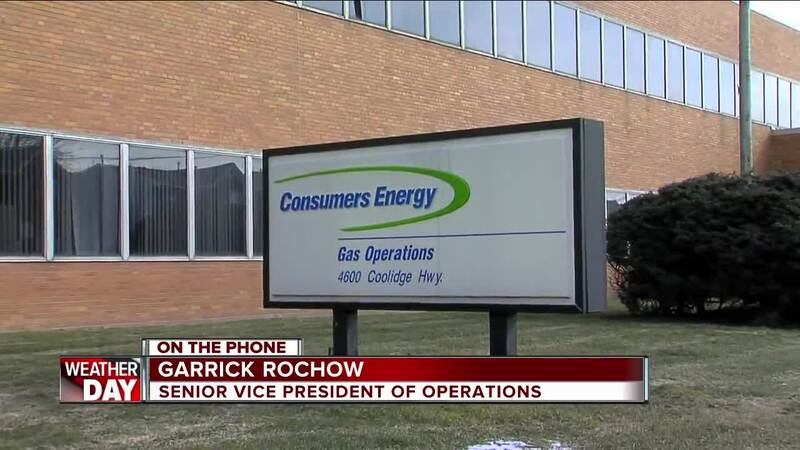 "We're pleased to say gas supply is strong this morning, but we'll still look or curtailments and voluntary reductions throughout the day," Rochow said on 7 Action News This Morning. According to Rochow, they've done a number of things overnight that will help secure an additional supply of natural gas. At the Ray plant where the fire occurred, Rochow said one plant has already come back on line. "We've been able to establish a number of contingencies to insure that our customers are warm through this," Rochow added. 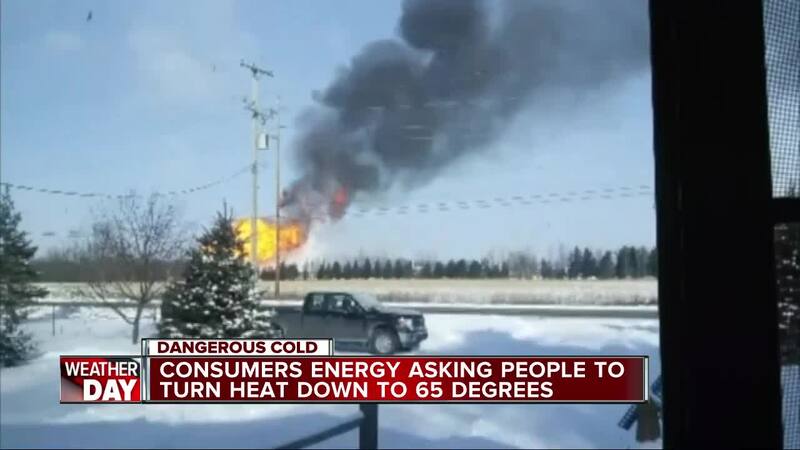 Consumers Energy greatly appreciates conservation efforts by all natural gas customers across Lower Michigan to assist with a supply issue on the company’s gas distribution network. Conservation, even by gas customers served by other utilities than Consumers Energy, is making a difference. This morning, we are cautiously optimistic that our public requests to reduce gas use are having a positive effect. However, with Thursday’s continued historically cold weather, we ask that conservation measures continue through the end of the day Friday, Feb. 1. Repairs at our Ray Compressor Station are ongoing and the station is partially in service, providing natural gas to our distribution system. However, we are asking that all customers continue to conserve until the end of the day Friday, Feb. 1, to allow for temperatures to moderate and additional repairs to the Ray Station. Gov. Gretchen Whitmer announced a state of emergency regarding the state's usage of natural gas amid record-breaking cold hitting the area. Wind chills are expected to be in the -30s again on Thursday after staying below zero the entire day on Wednesday. Patti Poppe, president and CEO of CMS Energy & Consumers Energy went live on the company's Facebook page to ask customers to reduce their usage. Whitmer also followed up with a live briefing on the issue, declaring a state of emergency. Whitmer asked residents to turn their thermostats to 65 degrees or lower until noon Friday. Warren Mayor Jim Fouts said on Facebook that there was a threat they could shut of all gas in the city of Warren due to the fire, but because of efforts from General Motors and Fiat Chrysler to shut down, they won't have to do that. GM announced they would stop production at a dozen manufacturing sites across the state in an effort to save natural gas. There are exceptions to the announcement, including the Milford Proving Ground, GM Renaissance Center, Willow Run and Ypsilanti CCA facilities and the Center for Human Resources. Those sites are powered by DTE Energy, and employees at those locations should report to work. You can hear Rochow's full interview in the player above.